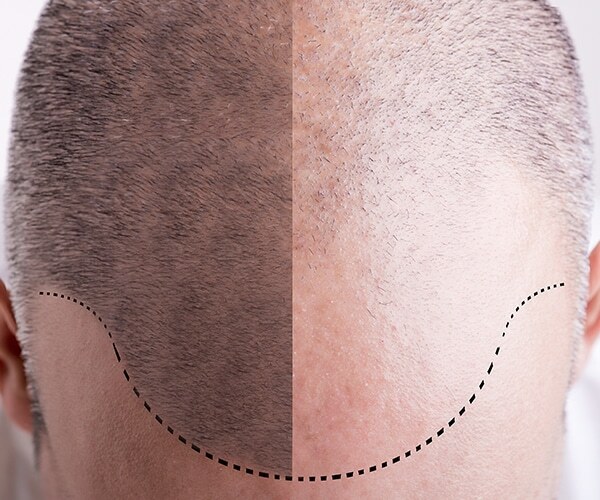 Hair transplants are performed under local anaesthetic by excising a strip of hair and individually dissecting the hair follicles and replanting them into the bald area. Typically the top of the head and the hair line are treated by using hair from the back and sides of the head. A small section of hair is removed from the back or sides of the scalpunder local anaesthesia. Only a thin strip is removed and the area is then stitched so it becomes barely noticeable. The section of hair that has been excised is then dissected under a microscope by a specialist team; each hair follicle is individually separated so that it can be replanted into the balding area. This is done by creating multiple minute incisions in the thinning or bald area so that the hair graft can be regrown in this area. HOW LONG WILL THE TREATMENT & RECOVERY TAKE? The treatment is very detailed and depending on the size of the area surgery can take anywhere between 4 and 7 hours. You will be required to wear a small dressing over the stitches for 24 hours. The scars would be barely visible after the healing period and the scalp should look completely natural. The initial hair transplant will fall out within the first 8 weeks and the regrowth of hair will take place within around 3 months. As with any surgical procedure there is a risk of infection, bleeding and nerve damage. 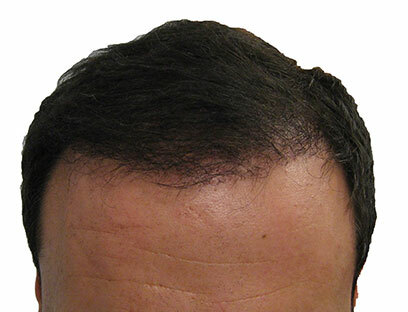 Most patients are very happy with their hair transplant but it is important to have realistic expectations. "I had been suffering from hair loss for a long time and had been to my doctors and had referral’s to the hospital only to be told there..."